DOLLO ADO, Ethiopia, Jan 20 2014 (IPS) - Yohamin Kesete, 32, and her six children live in Dollo Ado, a pastoralist community in Ethiopia’s drought-stricken Somali Region. But this is not where you will always find them. Kesete says that as temperatures soar and the rains become even more rare, her family is often forced to leave the area in search of water and pasture. “We have to survive, so we move to other regions. This is a hardship area. There are times when I have had to move while heavily pregnant because it gets too dry and there is nothing to eat. We cannot stay in Dollo Ado just so that we can deliver in hospital, we will die of starvation,” she tells IPS. “Without access to family planning, women in pastoralist communities … will continue to give birth until their wombs run dry.” modern midwife Feven Alazar. Her village lies some 980 km away from the capital, Addis Ababa, and because of the nomadic life of the community here it has been difficult for the government and community-based NGOs to provide family planning services. “Even though I can barely feed my current children, I am worried that I will have six more children before I am 40 years old,” Kesete says. Family planning has been recognised and implemented as an important part of global development, particularly for the role it plays in reducing maternal mortality and improving maternal health. But Ethiopia’s Demographic and Health Survey shows that the unmet need for contraceptives in this Horn of Africa nation now stands at 25.3 percent. In addition, for every 100,000 live births, 676 women die, which increased marginally from 673 deaths in 2005. “Seasonal migration among pastoralist communities continues to frustrate efforts to ensure that these communities not only access family planning but that they also have more family planning choices,” Feven Alazar, a modern midwife who works for Ethiopia’s ministry of health, tells IPS. “Among pastoralist communities maternal deaths are much higher. Not only is contraceptive prevalence low but women deliver at home, which often leads to complications. By the time they are rushed to a health facility, it is usually too late to save either the baby or the mother,” she says. Alazar points out that when pastoralists move from an area in search of water, the local health extension officers – who provide women with access to family planning at household level – move too. “Just like the community, the health extension officers move out of the arid areas when it is too dry. They have to survive,” she explains. As a result, she says, a significant number of women in Ethiopia’s arid and semi-arid areas are yet to enjoy full access to contraceptives. “The more family planning choices there are, the higher the chances that even more women will be using contraceptives because they switch and find a method that works for them,” Alazar explains. Although central and southwestern Ethiopia have higher contraceptive prevalence rates – as high as 56.3 percent in the capital Addis Ababa – the same cannot be said of the pastoralist communities in eastern and southern Ethiopia. Here you will find some of the lowest contraceptive prevalence rates in the country. 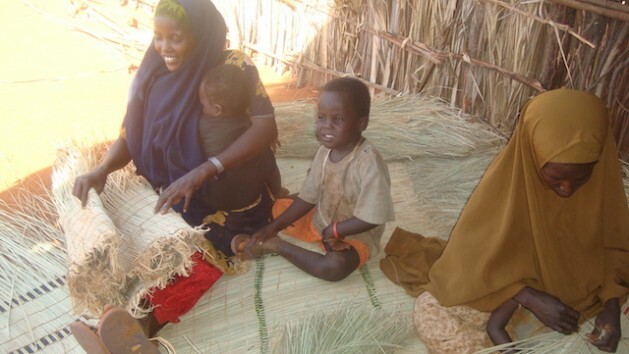 “There are many Somali refugees in Dollo Ado, which has a population of about 500,000 people. In the Kobe refugee camp there is a population of about 127,000 people and Bokolmanyo [another refugee camp in Dollo Ado] has a population of about 130,000. Here, contraceptive prevalence is less than eight percent. Yet family planning is key towards reducing maternal deaths,” Mekuria Altaseb from the Family Guidance Association of Ethiopia, a local NGO, tells IPS. “While a region like Dollo Ado is very dry, there are two major rivers here. River Dawa is on the border between Kenya and Ethiopia, while River Ganale cuts across Dollo Ado. Innovations should be put in place to help the pastoralists easily access the water and use it not just for livestock, but also for agriculture so they will not have to keep moving,” she says. Altaseb says that Ethiopia has increased contraceptive prevalence from just 15 percent in 2005 to 29 percent in 2011 in an effort to bring maternal mortality down to 267 by 2015. But statistics by organisations like the United Nations Population Fund show that Ethiopia, along with six other countries, including Nigeria and the Democratic Republic of Congo, still account for about half of all maternal deaths globally. “Without access to family planning, women in pastoralist communities … will continue to give birth until their wombs run dry,” modern midwife Alazar explains.